Note: TT and PDX Groups will be adjusted race day to even out run groups. 7:30 - 7:45 DRIVER'S MEETING At Shak . 7:00 Track gates closed for the weekend. All participants must be off the premises by this time. The Following Regulations Pertain to TT and PDX Events. This event will be held under the current SCCA General Competition Rules (GCR) and SCCA Time Trials Rules (TTR) as amended by the SEDIV Time Trials Rules and SEDIV TT Class Rules. Further amendments may also be published in these Supplemental Regulations. 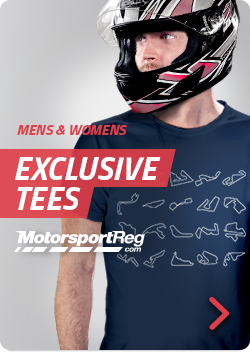 REGISTRATION: Register on www.motorsportsreg.com. Payment (Cash, Check, Credit Card) will be accepted at Registration. For questions contact: Tony Ewing (tonyewing@comcast.net). Make check payable to “TVR SCCA”. Late entries will be served at Registration, as per the schedule. A $50 fee will be charged for any check returned by the bank. A full refund will be made if the entry is withdrawn prior to tech. A $50 fee will be charged anyone who does not withdraw and is a no-show. Event Schedule/Run Groups: The event schedule or run groups may be changed at the discretion of the Chief Steward, with concurrence by the Race Chair, depending on pre-race entry counts or as needed to accommodate situations that may be encountered during the event. PASSING: There will be multiple cars on the course at any given time. Passing will be allowed on designated straights with a point by from the driver being overtaken. The overtaking driver shall not pass without a “point-by” from the driver being passed. Passing shall be started and finished within the designated passing zones as shown herein. The beginning and end of the passing zones will be marked by cones. Specific instructions will be given at the MANDATORY Driver’s Meeting. Off Course Excursions and Spins: Any vehicle leaving the paved course area with more then two wheels or spinning on course shall proceed safely to the Pit Area for discussion with event officials and/or vehicle inspection after receiving directions to proceed from a flag station. SCALES are NOT available at this event. WAIVER: Everyone entering the track must sign both the track and SCCA waiver. Passes must be shown to enter the track. No exceptions. INSURANCE: Participant insurance will be provided in at least the minimum amount required by the SCCA. PADDOCK: You may park anywhere in the paddock provided you do not block the main paddock roads, pit entrance, pit exit areas, concession, tower or other specially marked areas. A pit and paddock speed limit of 5 mph will be strictly enforced. EMERGENCY LANES must be clear at all times for emergency traffic. INTOXICANTS: Use of intoxicants prior to the end of the day’s events is prohibited. Anyone found to be using intoxicants during the event, or illegal drugs at any time while on the property, will be ejected from the property. Drivers are responsible for their crew and guests. TALLADEGA COUNTY SHERIFF’S DEPARTMENT PHONE NUMBER IS: (256) 362-2748. In case of emergency, the Sheriff’s Department will contact individuals attending events at Talladega Gran Prix Raceway. TGPR’S GATES will be locked at 7:00 PM of the last day of the event. Please be off the premises by that time. GENERAL RULES: The track concession stand will be open for breakfast at 7:00 am and lunch both days. It is recommended that you not bring pets to the track. However, if you do bring your pet, it must remain restrained (leash, cage, pen, etc.) at all times. Do not dump oil, gas or coolant anywhere. Take your fluids home. You must take everything you bring to the track with you when you leave. Use caution and common sense when raising your car and supporting it on jack stands. Part of the paddock area is grass so it is recommended that you use plywood or metal plates beneath your jacks and jack stands. No glass containers are allowed on the property. Anyone riding an atv or motorized scooter must be a licensed driver and wear a helmet. Yellow, standing – something has happened ahead of you, but is off the track surface. Absolutely no passing. A yellow flag may be displayed for the first two laps of a session to allow all cars (and drivers) to warm up. Yellow, waving – something has happened ahead of you and is blocking at least some of the track surface. Slow down and be prepared to take evasive action or stop. Absolutely no passing. Red & yellow, striped – there is debris on the track ahead, possibly oil, coolant, dirt, an errant animal and/or parts of a fellow driver’s car. Be prepared to respond accordingly. Red – STOP as quickly as safely possible, pull to the side of the track to allow maximum room for emergency vehicles, stay in your car and await instructions from a corner worker. We REALLY don’t want to show this flag! Blue / yellow stripe – a faster car is following. Allow it to pass at the next passing zone. Acknowledge the blue flag with a small wave to both the worker and the following car. This courtesy prevents tailgating, mirror driving, and promotes safety and reduces aggression. Observe the Blue/yellow striped flag. Black – enter the pits at the next opportunity to consult with an event official. Checkered - will only be shown on driver’s left at Starter stand. The session is over. Proceed on a cool-off lap by slowing down and using the brakes as little as is safe. Allow your car and yourself to cool down and relax. Proceed to pit lane and attempt to wipe that silly grin off your face. The Following Regulations Pertain to the TT Level 3 Only. TT STUDENTS: Instruction pursuant to obtaining a TT license will be available. If you desire to receive a Time Trials Competition License (eligible to compete at hill climbs), you should complete the Medical History using the "Physical Exam Form for Competition License" www.SCCA.org. Time Trials students will meet with the Chief Driving Instructor throughout the weekend. TT DRIVER ELIGIBILITY: All Track Trials drivers must hold a SCCA Time Trials License or Time Trials Novice Permit www.SCCA.org. SCCA Club Racing Competition Licenses, as well as competition licenses from other sanctioning bodies per the 2017 GCR are accepted. NASA Time Trial licenses (full) are also accepted. TT VEHICLE ELIGIBILITY: Open to all vehicles conforming to the GCR, SCCA TTR and SEDIV TTR. Rally cars will compete under the Rally America Rules and will be classed as SPU or SPO. SEDIV Time Trials reserved numbers will be held until April 1. Otherwise, numbers will be issued on a first come, first served basis. For two driver cars, add the numeral "1" to the primary driver's number. TT HELMETS: All helmets must be SA2005 or later. M-RATED OR SA-2000 HELMETS WILL NOT BE ALLOWED FOR TT. TRANSPONDERS: TGPR will have an AMB Transponder loop thus all TT Competitors are required to have a transponder. Competitors without an AMB transponder must rent one for the weekend for a fee of $50.00. Each vehicle renting a transponder will require a special bracket into which the transponder may be quickly attached. If you have not retained your bracket from previous events, they will be available for a small fee. Rental will require a $450 deposit check to be left with registration to assure return of the transponder at the end of the event. TT TECH: All driver and vehicle safety equipment must meet current GCR and/or TTR specifications for a Level 3 Event. Driver's head/helmet to roll bar/roll cage clearance must meet the requirements of GCR and TTR. Roll bar/roll cage padding is required per the GCR and TTR. Cars must be re-inspected by the Chief of Tech if involved in an incident or if the vehicle is reported as leaking any fluids. Safety gear must meet GCR and TTR requirements. All entrants must have a vehicle log book complete with pictures and log book number. Please fill in the date and event name prior to visiting tech. Arm restraints are required on all open cars. The Championship Event entrants’ technical inspections may be conducted with "roaming" tech inspectors. Cars needing an Annual Inspection must be brought to Tech with logbook, Tech Card, and driver safety gear. Cars with a current Annual Tech will present their logbook and Tech Card at Registration. TT CHAMPIONSHIP RUNNING ORDER: Groups will be Open Wheel and Closed Wheel as determined by the number of entrants. Groups may be combined at the recommendation of the Chief Steward. Cars will be gridded according to relative times by the Pit/Grid Marshal. An entrant may elect to waive SEDIV TT Series points by checking the appropriate box on the entry form. PASSENGERS: Passengers are NOT permitted in any racing vehicle unless approved by the Chief Steward. The Following Regulations Pertain to the PDX Only. PDX DRIVER ELIGIBILITY: Entrants must be a SCCA member and have a valid state driver's license. If you have an SCCA Time Trial Participation Log Book, please bring it with you. If you do not have one, you will be issued a log book at registration. TT Participation log books must be checked by the Chief PDX driver instructor, or his designee, prior to participation. Entrants must wear a sleeved shirt and long pants as well as appropriate footwear covering the entire foot. No open shoes or sandals. PDX Driver Classification Definition: Novice: A driver who has never driven his or her car on a race track or a driver who has never been signed off to solo at a previous PDX. Intermediate/Advanced: A driver that meets the following criteria falls into the Advanced/Intermediate category: he/she holds 1) an SCCA Competition license; or a history of tracking events with other SCCA recognized organizations such as PCA, NASA, CHIN, BMW, PBOC, etc. or 2) has an SCCA Time Trials Participation log book that indicates the ability to "solo" and has successfully completed at least 3 SCCA PDX events or 3) receives an entry waiver from the PDX Chief Driving Instructor. INSTRUCTION: Instructors will be assigned to each entrant and entrants may have an Instructor riding with them. The requirement for a ride along instructor may be waived by the Chief PDX Driver Instructor based on prior experience of the participant. Other than an instructor, no other passengers are permitted unless approved by the PDX Chief Steward. The Chief PDX Driver Instructor reserves the right to ride along with any participant. PDX RUN GROUPS: PDX cars will be grouped separately and run in group rotation with the TT entrants. PDX entrants may be limited. Sessions will be as noted per the schedule and will be approximately fifteen minutes in length. It is the driver's responsibility to be ready in the Grid area at the scheduled time. Failure to be ready per the schedule may cause the entrant to be prohibited from participating in that session. Numbers, Classification of Vehicles and Timing: Numbers must be on both sides of the vehicle, be legible and be at least 8 inches tall with a 1.5 inch stroke and in a contrasting color to the vehicle. There will be no designated classes for this event, nor will there be any “timing” of a vehicle during the event. Please provide three number choices. AMB Timing will not be used. PDX HELMETS: All helmets must be M2005, SA2005 or later. PDX VEHICLE ELIGIBILITY: All vehicles must provide factory original (or better) seats that are securely mounted, seatbelts (SFI or FIA rated are recommended), and roll over protection for both driver and in-car instructor (if used). Vehicles that are in compliance with road race, solo, rally or time trial rules are allowable. Formula cars are not allowed. Hardtop and Targa top vehicles are allowable. Convertible vehicles operating with the factory roll over protection system are allowable. Other convertibles must have either a factory hardtop or a 4 point roll bar. If a roll bar is used, it must meet the roll bar requirements found in the TT/HC Driver Information TTR. Drivers of open top vehicles should use arm restraints or run with the top up. PDX TECH INSPECTION: will be held at the track at the times noted in the event schedule. It is recommended that PDX entrants have their vehicle “teched” on Friday. A PDX Tech Sheet is provided herein. You must take your vehicle, along with your tech card and Tech Sheet, to tech inspection. DRIVERS MEETING: All entrants MUST attend the Saturday and/or Sunday morning drivers meeting. The times and locations are noted in the schedule. Failure to attend will disqualify the entrant from participating in the PDX and their entry fee will not be returned. FLAGS: Flags for driver notification will be as noted and discussed at the Student Classroom Session. Failure to respond to a flag notification could cause an entrant to be prohibited from completing the remainder of the event. PASSENGERS: with the exception of an assigned instructor or the Chief PDX Driving Instructor, passengers will not be permitted to ride along with PDX entrants, unless otherwise approved by the PDX Chief Steward.